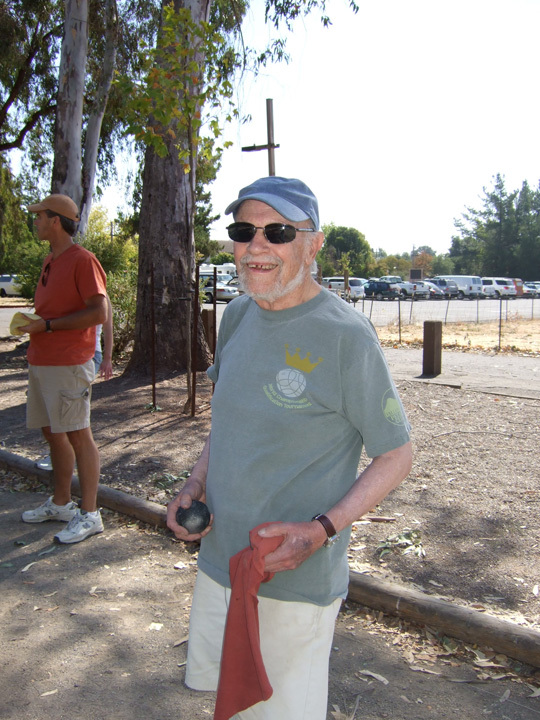 Byron W. Mayo, a truly charming and revered character among the Sonoma locals, a marketing genius, a decorated Pilot during WWII, and a favorite at the Sonoma Petanque courts, passed away peacefully in bed at home in the early afternoon of Tuesday Oct. 23, 2012. He was 90 years young with an indomitable spirit to the end. His health had been declining since a heart attack in the Spring and a series of mild strokes in the Summer slowed his pace from walking around in the garden, to enjoying the TV, and finally in only the last few days, he had been confined to his bed. The day before he died he was chipper, laughing and making jokes with his nurse and enjoying the company of his beloved wife of 62 years, Mary, who was with him until the end. Before he retired to Sonoma in 1983, Byron had been a Senior Vice-President with Foote, Cone & Belding Advertising, mostly at the San Francisco office in an on again, off again association with Foote, Cone that spanned a 37 year career. Byron took time off from FC&B to take the helm as President of the Sea & Ski Corporation during the 60’s through a period of intense growth that earned him a national award as “Marketing Man of the Year” in 1969, by the American Marketing Association. In true American tradition, from humble beginnings, Byron found adventure and joy in life and in expanding his world. 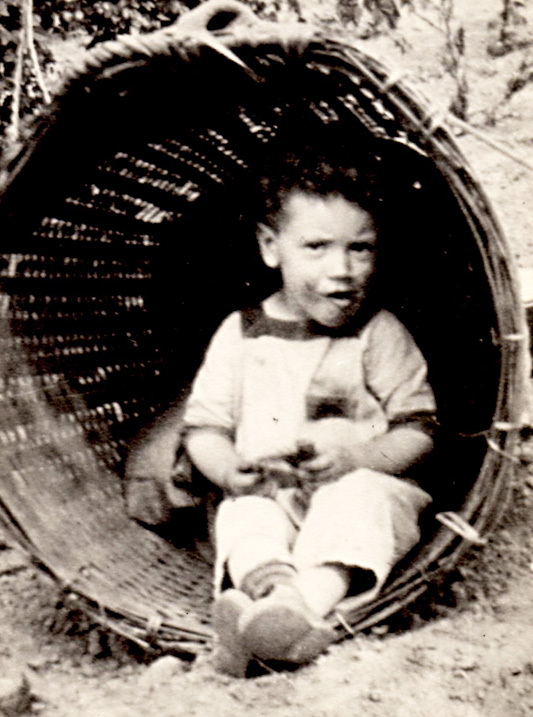 Born January 14, 1922 in Portland, Oregon, Byron was orphaned at birth. He was adopted by Byron Albert Mayo (a machinist/carpenter) and his young wife Della Martel Dewey. The marriage didn’t last long and Della left with young Byron, aged 5 or 6, to carve a life out on their own. Byron was raised by Della and her sister “aunt” Phoebe and a cast of colorful characters through what became a number of memorable adventures during his first 18 years. He had a curious mind, he was a quick learner and adapted to the ever-changing fortunes of being raised by a single mother in the swinging 20’s and challenged by living on the skids in the poverty and struggles of the Great Depression of the 30’s. Years later, at 75, Byron wrote his memoires of those years. They are a fabulous account of his life, times and adventures up to the start of WWII. His memoires and other family photos and documents can be found here on his memorial website. World War II broke out after Byron’s first year as a Journalism major at the University of Oregon. He had gone broke and dropped out then spent some time trying to raise school funds by fortuitously landing a high-paying job as a journeyman ship fitter in the Willamette Iron & Steel Shipyards in North Portland. It was a time Byron well remembered. He always enjoyed his official, if brief, membership in the Great International Brotherhood of Boilermakers, Iron Shipbuilders and Helpers of America, AFL, Local 72! It was a grand title he enjoyed rolling off his tongue. Byron graduated from the 30’s with a very strong work ethic and a confident pride in tackling any job. He was the kind of guy who liked taking on challenges, getting his hands dirty and being part of a team. As things turned out, he spent most of his life at the head of the team. In the Spring of 1942, Byron joined the Navy and tried out for the tough Navy Pilot Training School. He made the grade and spent the next 2 years in training at locations ranging from bases in California to Texas to Florida to aircraft carrier landings off the stormy waters of Illinois. In Florida he flew training missions on the same route, in the same aircraft type over the Bermuda Triangle as the infamous Flight 19 that disappeared without a trace in December 1945. With his Navy training done, Byron swapped services to get advanced training as a US Marine Pilot. Ultimately he and 21 other advanced Marine Pilots formed a new Marine Torpedo Squadron and finally shipped out in February1944 as Marine Torpedo Bombing Squadron 242 (VMTB-242). The service record of VMTB-242 is well documented on the internet. Byron flew the Grumman Avenger TBF Torpedo Bomber in aggressive action in the skies over Bougainville and Rabaul, through the Marianas and the Iwo Jima campaigns. 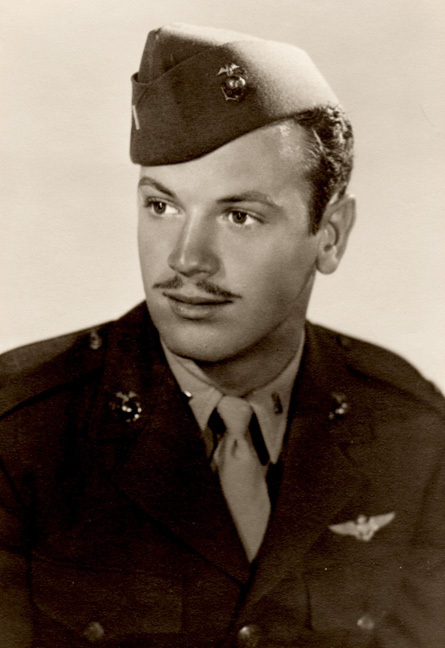 He was awarded the U.S. Navy Distinguished Flying Cross for “Extraordinary achievement while participating in aerial flight from 20 March 1945 to 27 March 1945”. His service also awarded him three Air Medals during those campaigns. After the war, Byron returned to the University of Oregon and finished his degree in Journalism with a new emphasis on marketing. His resume shows many positions and achievements, but Foote, Cone, and Sea and Ski were the two jobs that consumed most of his career in advertising and marketing. Along the way, Byron met Mary Bovee, also from Portland. She was a beautiful and equally charming soloist performer in the Ice Capades. It was a perfect match, a romance that lasted a lifetime. Byron and Mary were wed in Las Vegas and received special treatment at Bugsy Segal’s new Flamingo Hotel. Mary and Byron had a lot in common, especially their appreciation of creative arts of all kinds. Together through the years they both spent time sculpting, painting, doing pottery. They loved visiting Mexico and brought back many pieces of native Mexican art. Mary did weaving and had many art showings as well as finding there was a market for her talents doing custom tile creations for several houses. Mary’s forte though was gardening. Her father owned and lived in a nursery in the Portland hills. Mary’s green thumb became legendary and wherever Mary and Byron moved, which they did many times, Mary would create a new garden and spend part of each day working in it. They loved San Francisco and settled across the Golden Gate Bridge in Sausalito, Marin County. Marin is where they raised their two children. Wherever they went, they always came back to Marin. They loved exploring the Northern California coasts and the inland wine country of Sonoma and Napa counties. Together they found a love of the town of Sonoma and in 1983 they bought a house close to the Town Square and Byron retired. But for Byron, there really wasn’t such a thing as retirement. 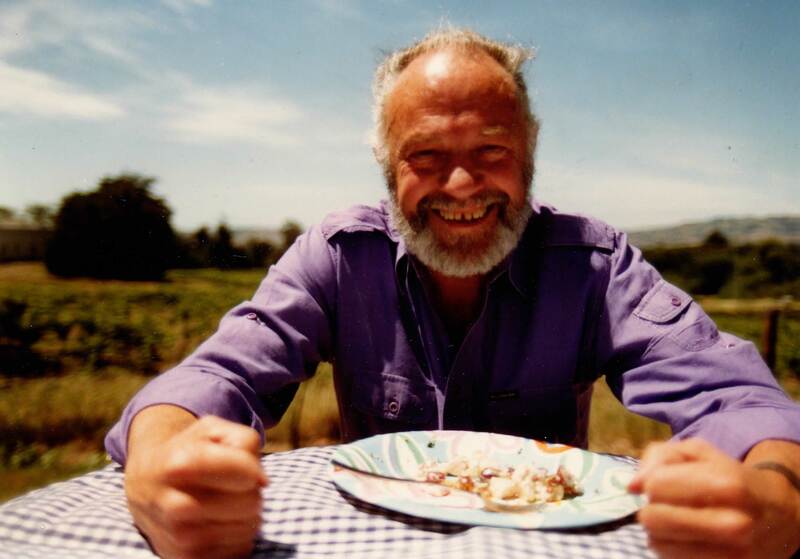 He was soon thoroughly wrapped up in local community growth, becoming a Member of the board of directors of the Sonoma Valley Vintners & Growers, and a Member of the board of directors of the Sonoma Valley Visitors & Convention Bureau. What do Snoopy, Charles Schulz, Bill Cosby, Byron W. Mayo and Mick Jagger have in common? Petanque. It’s the National Game of France. Those who know it love it, those who don’t should check it out. It’s an addiction. Back in 1988, Byron fell in with a loose circle of French locals and became an enthusiast of Petanque. In 1990 a cadre of locals got together and created the Valley of the Moon Petanque Club (VOMPC). Due to the large population of French living among the Vineyards of Sonoma Valley, the growth of the club quickly filled with both beginners and seasoned players, Byron among them. Byron loved the sport. He played several times a week, played in tournaments, acted as club President in 1995, and volunteered to gather material and edit the club newsletter, a labor of love that he continued for 7 years. Byron also became one of the greatest recruiters of new players. He is generally credited with having a large influence on swelling the club to 170 players, sitting on club boards, helping to create the rules of conduct and being probably the most charming and gracious booster of the game in the club. It created a fitting final chapter for Byron. A new career actively enjoyed in his retirement years. Something that always made him smile. Byron is survived by his lovely wife Mary (86), daughter Cathye (66) in Santa Fe, NM, and son Byron Robert (61) In Beverly Hills, CA. 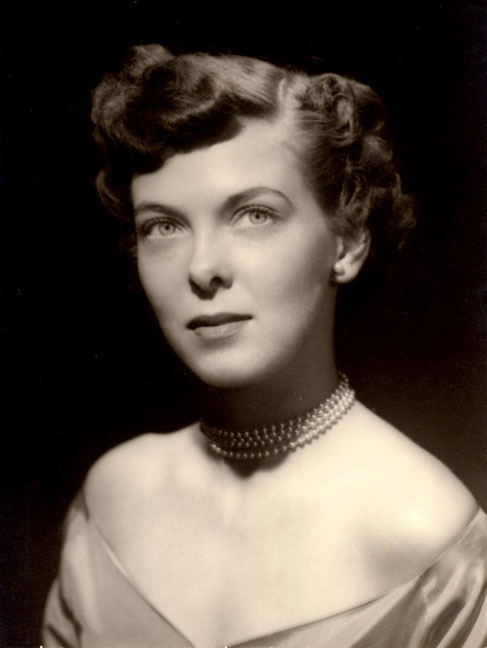 Mary and Byron also had two grandchildren and five great-grandchildren. Mary has moved to Sante Fe to be near Cathye and enjoy the city which Mary and Byron had often visited. As in any obituary, so much goes unsaid. This memorial website is filled with photos, documents, BWM’s resume and magazine articles, family info and photos, writing, a blog viewers can contribute to, info about Petanque and the jewel of the bunch, Byron’s Memoires – a fascinating and worthy mini-book which can be read online or downloaded to electronic readers. We plan on supporting the site, the family and the VOMPC, and celebrating the life of Byron for many years to come. We hope his Great-grandchildren will get to know him better through this window.